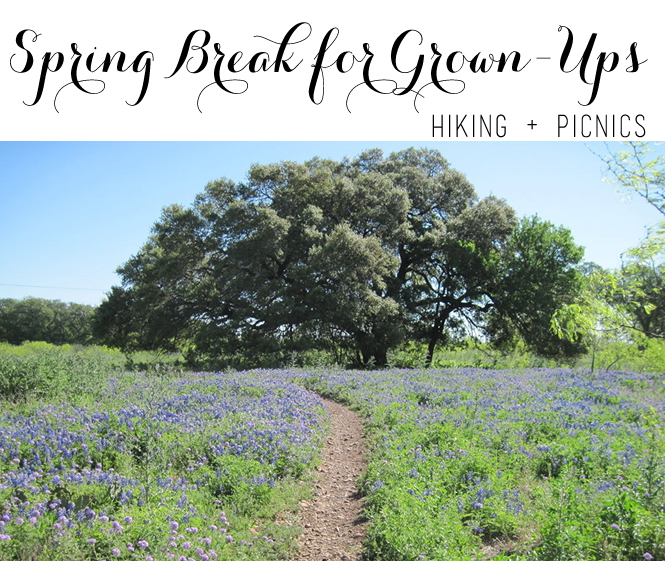 It’s Spring Break here in south Texas – and for me, that doesn’t mean much since I don’t have children. That being said, the weather is absolutely gorgeous and has me itching for an adventure. Although I can’t take the entire week off, there are plenty of exciting things to do in and around San Antonio. 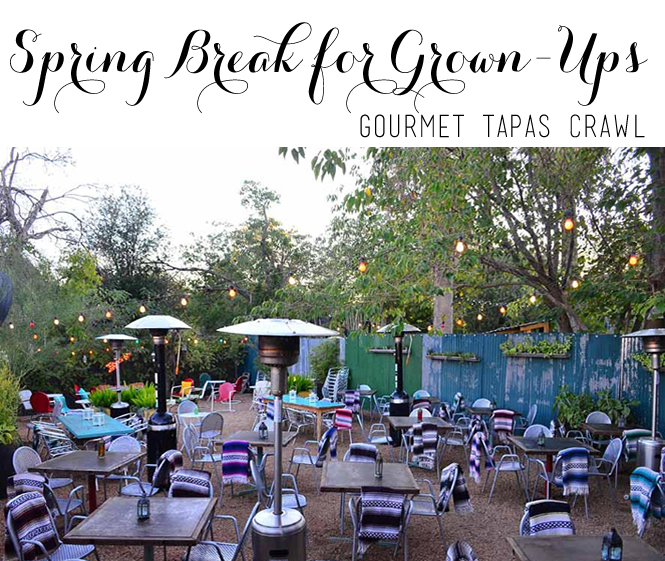 We’ve compiled a list of fun, unique ideas to celebrate Spring Break as an adult – in other words, weekend or day trips that pack all the excitement of an entire week. I’ve been training for a half-marathon, and I really enjoy trail runs. They’re much more difficult than asphalt, but escaping into nature with some great tunes is really enjoyable and quite a respite from the demands of the world. As I was jogging this past weekend, I was reflecting on Spring Break and how I would really enjoy a week vacation to somewhere exotic. I felt so refreshed, though, just running outside in the beautiful weather and realized that my trail runs really are like a mini-vacation for my mind. This is why I selected hiking as a Spring Break option. There are a variety of San Antonio trails (like McAllister Park pictured above). Put on some running shoes, grab a backpack and snacks. Your vigorous (or leisurely) stroll can even include a picnic with some wine. The bluebonnets are starting to appear and it’s the perfect time to enjoy the outdoors before the summer heat is upon us! Anyone else notice the abundance of amazing restaurants popping up downtown? From the Pearl Brewery to Southtown, delicious bites are a stone’s throw away from every block. Among the many options: gorditas and chiles rellenos at The Fruiteria; sweet corn fritters and ottoman spiced calamari at Feast; pork tenderloin, fried chicken and oysters at The Monterey; and, BBQ sandwiches and bread pudding at The Luxury. This option is for the adventurous folks – you probably didn’t think hiking was enough of a dramatic story to share with your colleagues. Fear not – this one will win for “best Spring Break” story at the water cooler next week. 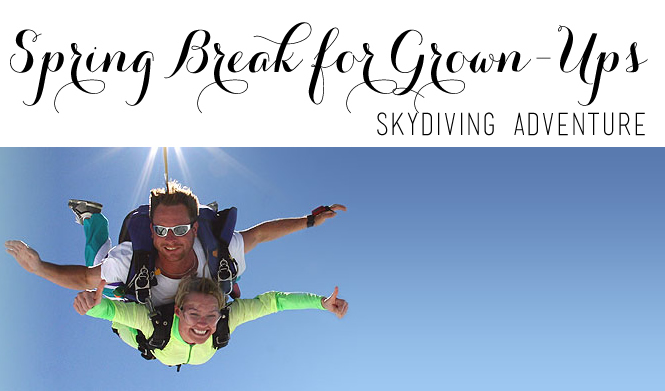 Skydive San Marcos is located just outside of San Marcos, Texas. A short trip from either Austin or San Antonio, this is an adventure that far exceeds the height of all the others! I can’t dance. I think my biggest fear of dancing is looking like a fool. My rhythm is terrible, but I bet if I practiced I might get the “swing” of things. 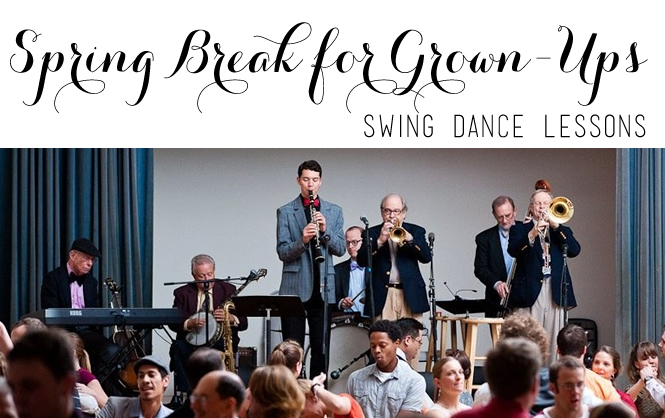 That being said, how fun would it be to take swing dance lessons (or, any lessons really) and then attend a big band dance? The San Antonio Swing Dance Society offers you that opportunity. Intro to swing classes are every Wednesday, and Monday evenings feature a live band. Get on your dancing shoes, put on some lipstick and get swingin’! Ready to try all these, and add a few more to your list? Click over to Hello Misha for some adventurous ideas!